went to the mountains with the hope of climbing Retezat peak and catching the sunset there, but there has been an abundant snowfall previous day. I advanced through the snow with much difficulty. As it was too risky, I did not push my luck to reach the ridge. After two days with not even a picture taken, I went back to the car and on the way back to the base of the mountain, beside the Rousor stream, I noticed the snow formations on the water edge. 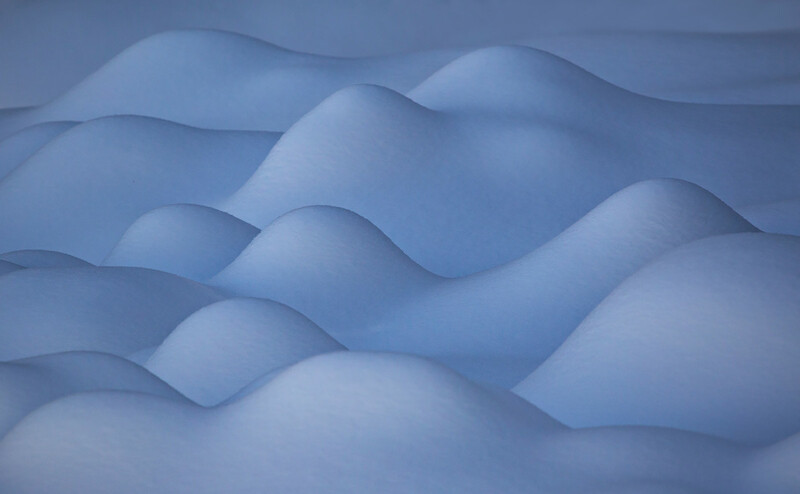 The morning light before sunrise revealed the painting in the snow created by nature. It fascinated me, so I stopped the car and composed the image from the wayside. In this case, the post-processing was not complicated; I slightly increased the contrast between the light and shadow areas which resulted in what you see. Everything else was a gift from nature.